Low Vision Aids have great potential to increase the confidence and independence of young people, but they must be designed with their needs and perspectives in mind, a new report finds. Published by the Helen Hamlyn Centre for Design and sight loss organisations Thomas Pocklington Trust, VICTA and VISION 2020 UK, the report Design and Low Vision Aids – a Youth Perspective is brimming with quotes from young people, providing an insight into the aspirations and opinions of those the aids should support: 12 – 18-year-olds who are visually impaired. One often-neglected truth is that having a visual impairment does not exclude an individual from desiring sleek, attractive products. Echoing the concerns of most others her age, 15-year-old Hannah comments: 'To be honest the only question is, “How much is it going to stand out? How noticeable is it?”’. While some inclusive products fit the bill, many assistive technological devices are simply ‘not discreet or covert’ enough to be used without some embarrassment. The young people interviewed expressed a strong interest in using such mainstream technology that combines multi-functionality with appealing design. 11-year-old Noah says, ‘I just want my LV (low vision) gadgets to look like normal cool techy gadgets!’. 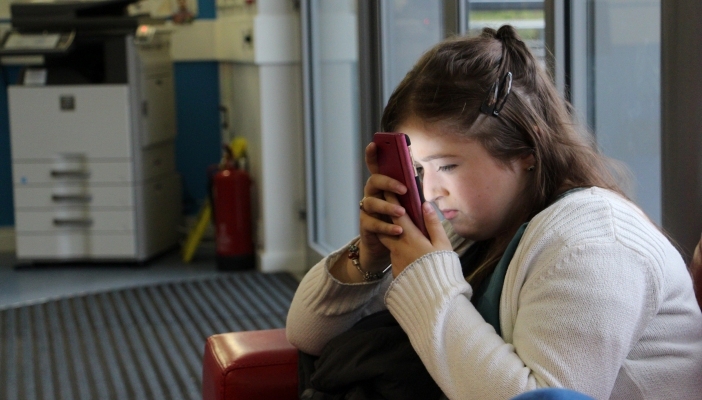 Personalisation of mainstream technological products is a growing trend, and increased accessibility is one form of personalisation that is vital for visually impaired young people. When inspired by the innovative ideas of young people, good design can be a catalyst for independence, rather than a barrier. As Hannah says, ‘I should be able to do everything, things that other teenagers can do. You shouldn’t have to worry.’ Listening to the voices of visually impaired young people will enable them to exercise their capability and creativity as they navigate their teenage years. Read more about low vision aids - a cool route to independence?